Mitali Perkins‘ latest novel Tiger Boy is beautifully crafted, the perfect blend of adventure story and deeply empathetic narrative. 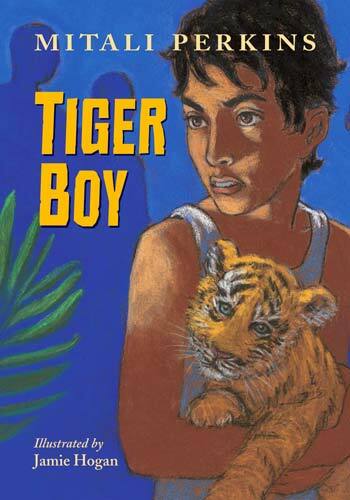 There is much for readers to reflect on, regarding their own lives as well as the culture and concerns of people living in the Sunderbans region in West Bengal, India, where Tiger Boy is set. As Mitali explains in her Author’s Note, the Sunderbans is a UNESCO World Heritage Site that lies partly in Bangladesh and partly in India, the largest area of mangrove forest in the world and home to the endangered, man-eating Bengal tiger. The book opens with an exuberant scene of Neel leaping into a freshwater pond for a swim after school with his friend Ajay – but Neel shouldn’t really be there. He is the brightest boy on his island and is supposed to be working every minute of the day towards the scholarship exams for a boarding school in Kolkata. Neel, though, is not worried about being distracted from his studies because he doesn’t want the scholarship; he doesn’t want to leave his family or the Sunderbans. Then their friend Viju joins them with the news that a tiger cub has escaped from the Reserve and is likely to be on their island: and not only that, but the unscrupulous, rich newcomer Gupta is offering a reward to anyone who can find it before the rangers. Neel is determined to find the cub himself and save it from being sold on the black market and killed. With his sister Rupa’s help, he draws on all his resources (even the maths he hates) to do just that – but will they succeed? And will he be able to hold onto all he holds dear while living up to his headmaster’s, his family’s and, ultimately most importantly, his own expectations? Tiger Boy offers a vivid portrait of the Sunderbans – not just beautiful descriptions of the lush mangrove landscape and the sundari trees, whose name we learn early on means beauty, but also the concerns of and dilemmas for the people who live there: caring for the environment and protecting the tigers, but also the very real danger of being eaten by a tiger when necessity drives them into the Reserve to find food; access to education and the reality of what that scholarship could mean to Neel, as well as the fact that Rupa, as a girl, only had the opportunity to go to school until 4th grade; respect for the sundari trees and what happens when they are exploited indiscriminately; and trying to live according to your ideals but being forced by poverty into decisions that go against them. What I love about Tiger Boy is that it does all this but that it is in essence a gripping story of one boy’s personal journey with a two-fold destination: the suspenseful adventure to find a vulnerable baby animal, and his personal discovery of a wider world and what his place in it could also mean for his place at home in the Sunderbans. Although the book is narrated in the third person, the story is told very much from Neel’s perspective, so not only do we walk beside Neel, whom we come to care for deeply, but we also have the nuance of his take on the characters we meet – something that adds a touch of gentle humour to his relationship with the headmaster, for example, because he gets so irritated by the headmaster’s mangling of English sayings! Jamie Hogan, who also illustrated Mitali’s Rickshaw Girl, has used her signature deft pastels to bring Neel, Rupa and the cub to life – and who wouldn’t be attracted to the book by the cover , evoking a sense of danger through Neel’s expression and a big ‘awww’ for the tiger cub. Perhaps because the other characters are mostly presented almost as vignettes, the two full-face images of Baba (Neel’s father) and the headmaster at two key moments in the narrative are particularly powerful. The graphic prologue provided by three illustrations showing pugmarks (paw prints), a ranger’s look-out tower, and a buoyant tiger cub escaping through a hole in the perimeter fence is a nice touch too. As well as the insightful Author’s Note, the back matter includes website links to organisations ‘Working with Bengal Tigers’ and ‘Working to Improve Life in the Sunderbans’ and an in-depth, very readable glossary. My son, with whom I shared Tiger Boy, loved the book in its entirety as much as I did. It’s a great readloud and altogether an excellent book, offering adventure, suspense and food for thought, and is surely going to win awards. Charlesbridge Publishing, Jamie Hogan, Mitali Perkins, MWD book reviews, Tiger Boy. Bookmark. It’ll definitely be worth the wait, Alex – I hope you enjoy it as much as we did. This sounds like a very educational story! I love when stories are used to inform and entertain at the same time. I am sure I would learn a lot from this children’s book! Thanks for sharing it! Yes, I agree, Christy – and Mitali weaves all there is to learn so beautifully into the narrative, it certainly never feels didactic. This sounds like an intriguing story. What an eye-catching cover! Wonderful review! 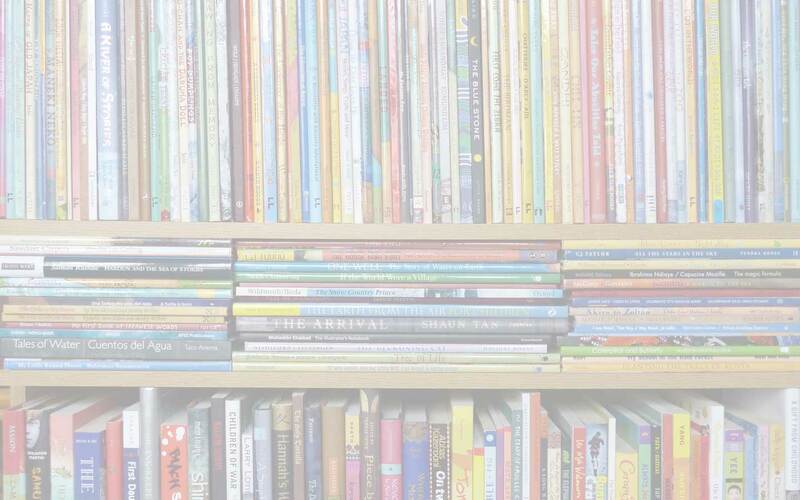 Stopping by from the Kid Lit Blog Hop. Yes, who can resist that wee tiger cub? I’m sure you would enjoy the book too. I have had this on my TBS shelf.. am definitely giving it a push after reading your review! thanks for recommending on KidLitBlogHop! Thanks so much, Marjorie. The book releases in India today from Duckbill!